"Yes, I'd like a venti half-caf, non-fat, vanilla latte, please. 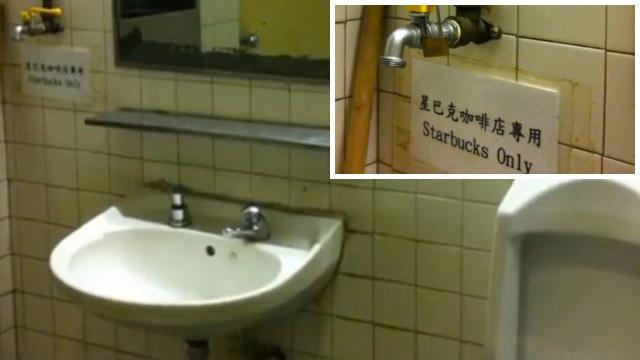 Wait...uh... You use water from a dirty bathroom to make your coffee? Oh. Just make it a grande then."